As a CrossFit athlete, you will care a lot about feeling and looking healthy and fantastic. While you may choose to continue to drink alcohol while training, you should know that getting a hangover is possible even though you’re in shape. 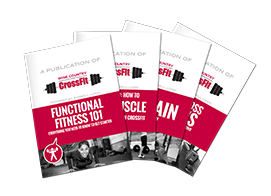 There are three secrets in particular CrossFit athletes need to know about hangovers, and each will help you to feel better and adequately manage any aches or pains that arise from drinking. Keep in mind that it’s always in your best interest to pace yourself and drink in moderation if you want to feel your best the next day. However, it’s also a wise idea to educate yourself more about hangovers should you find yourself dealing with this matter. One secret you need to know about hangovers as a CrossFit athlete is that there are cures that will help you to feel well again fast. This secret is especially crucial if you need to work out or perform at a competition shortly after having spent a night out on the town. One option is to check out the IV hydration service from Reset IV which will help you to recover more quickly and make sure you’re rehydrated and have your energy levels back. You should know that it’s imperative to replenish your lost fluids and electrolytes so that your body can rapidly bounce back. One critical factor you should understand as a CrossFit athlete is that hangovers can diminish your performance. For instance, you may feel weak, have a foggy brain and be dehydrated, and hangovers can cause you to be clumsier after having been out drinking the night before. Just because you’re healthy and are physically fit doesn’t mean you can’t fall ill to a hangover and feel bad after partying. It’s also not safe to participate in intense workouts when you’re recovering from a hangover because you may become lightheaded or dizzy from the adverse effects of having alcohol still in your system and from being dehydrated. Instead of high impact workouts, it’s a wiser idea to turn to light exercise such as going for a walk or doing yoga to help you recover from a hangover. As a CrossFit athlete, missing important workouts can set back your progress and cause you to fall behind with your fitness goals. It’s important to keep this in mind when considering if going out and partying is the right choice for you. The upside is that you’ll likely feel better after participating in gentle exercise and eating a healthy meal. Your mood will lift, and the “feel-good” chemicals will be released in your brain after committing to some daily movement. Being a CrossFit athlete doesn’t make you untouchable from a hangover, so never assume you’re in the clear. These three secrets should provide you with some better insight as to what to expect if and when you do decide to drink and how to handle a hangover that may arise after consuming alcohol.